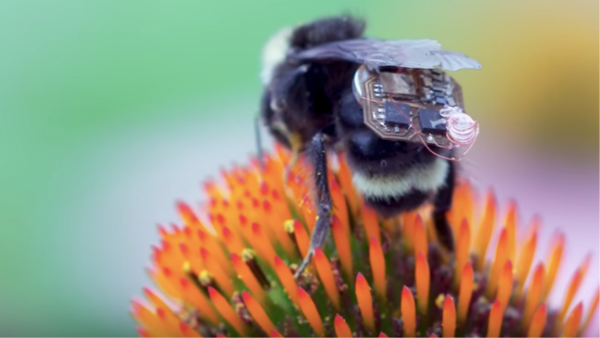 Sensor-Wearing Bees Monitor Crops « Adafruit Industries – Makers, hackers, artists, designers and engineers! The researchers say they envision their bee swarm someday being used on farms to collect humidity and temperature data across a field to help farmers better understand their crops. Agricultural drones are already a big market for data collection and optimization of crop fields; using bees instead could pinpoint data down to a much smaller, more specific scale, according to the researchers.